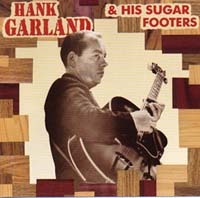 Wolf says: Hank Garland is one of the most eclectic, innovative and historically important guitarists in contemporary music. 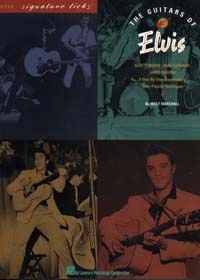 Equally adept at rock 'n' roll, country, jazz and pop, he was an integral member of the Nashville studio scene of the 1950s and played on hits by Elvis Presley, the Everly Brothers, Roy Orbison, Patsy Cline, Jerry Lee Lewis, Jim Reeves, Patti Page, Webb Pierce and literally hundreds of others. That's him playing the tasty blues rock licks on Elvis'"Little Sister," doing twin leads with Chet Atkins on Don Gibson's "Sea of Heartbreak, and supplying the signature intro to "I Fall To Pieces." 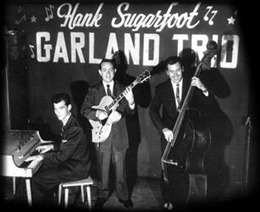 As a successful solo artist, Hank had a groundbreaking hit in 1949 with "Sugarfoot Rag"--which has since become a namesake favorite in country circles. By 1960 he was simultaneously handling busy careers in rock, pop and jazz fields. 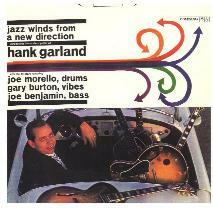 Hank's release JAZZ WINDS FROM A NEW DIRECTION was just that; a turning point in jazz guitar history. Eric says: yes thnak you Hank!!!! Corey says: I'm totally pumped to have Hank here tonight. Wolf says: Hank's contributions also include the world of guitar design. He developed one of the first thin-lineelectrics in history. 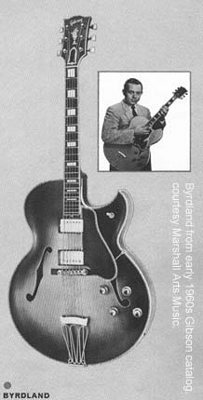 In mid 1955 Gibson announced the release of the Byrdland guitar. This was touted as the joint effort of Hank and country star Billy Byrd. The Byrdland was revoltionary with its thin hollow body (2 1/4"), and short scale fretbaord (23 1/2"). It was a deluxe instrument with two pickups, fancy appointments and options comparable to the L-5CES. This guitar is still available today and remains a flagship offering in the Gibson line. Wolf says: Hank can you tell us about the Byrdland guitar? 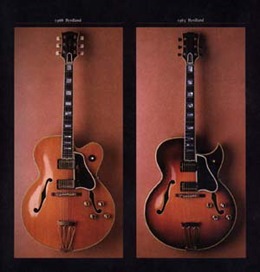 JimmyB says: Hank, would you know what the scale is on the byrdland? 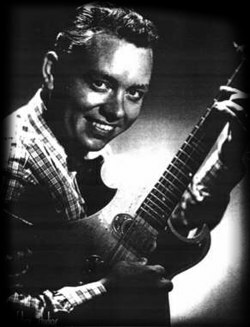 joesilver says: Hank, when you met Tal Farlow, was he already playing a short scale guitar, or were you the one who influenced him to try it? HankG says: I influenced him to play it but my friend Tal had very long fingers and didn't need to play it! Wolf says: He was known as The Octopus! Corey says: Tal had the longest fingers I have ever seen on a guitar player. Altchord says: Hank how long did you know tal,,,,howd you meet? Wolf says: Q: Hank, can you begin by telling us how the Nashville rock and pop studio scene of the 1950s began? And more specifically how did you hook up with Elvis Presley? Altchord says: and your both from same neck of woods? SteveL5CES says: Hank, How did you and Tal get those great harmonics? 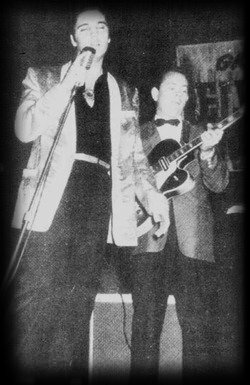 HankG says: 1957 Memphis.."Jailhouse Rock Concert"
JimmyB says: do you still have it? SteveL5CES says: Hank, did yo ever have feedback trouble with the CC pickup? especially live? Wolf says: Q: One of the outstanding guitar moments of your rock session career can be heard on "Little Sister." What was that session like? HankG says: it was about 3;30 in the morning and everybody was tired! Wolf says: You didn't sound tired! HankG says: alot of energy was in the studio and alot of benzedrine! SteveL5CES says: Hank didn't you use a Jazzmaster for that recording? whatr did you think of it? HankG says: He was a very nice guy and another job for me! HankG says: Duane used to hang out at my house! JimmyB says: I also hear some mutting. Were you muting the strings on that track? Wolf says: "Little Sister" contains a signature guitar lick that made the tune. How did you create it? HankG says: you mean when I was laying my hand on top of the strings as I played? DS says: ya what was the thought? HankG says: it came off the top of my head! Eric says: wow, that sounds great!!! JimmyB says: Did Daune Eddy come after this period? 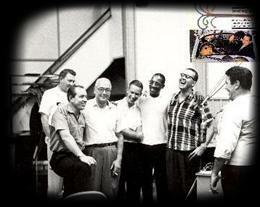 HankG says: the real story is everybody was trying to get something special out of the song and Elvis said "Hank! Please help get me out of this!" HankG says: this is how the song came out! JimmyB says: Hank, did you ever run into Elvis when he was doing his Vegas thing? joesilver says: It sounds as if Elvis was somewhat discriminating about musicians, and played an active part in choosing his sidemen. Would you say that's true? DS says: How did the Elvis Gig come about??? KenBrown says: Hank do you remember Joe Bennett of the Sparkletones? He remembers you, and commented how you have a great sense of humor in your music. I agree. Some of your country licks in the jazz context were so much fun to listen to. Wolf says: Hank, to turn the topic to another forte...jazz. Wolf says: JAZZ WINDS was a benchmark in jazz guitar music. How did that session come together? Wolf says: One of the leading tunes on JAZZ Winds was "All The Things You Are." we're going to send out a representative sound file now . JimmyB says: I wonder who are all those peole int that picture. Anyone got any ideas? KenBrown says: I really did the counterpoint in that All the things track . .
KenBrown says: I wonder . . .Hank must have listened to Bach. 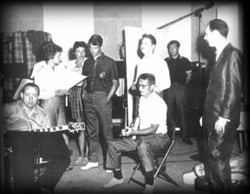 Wolf says: The other shot is of Hank with Roy Orbison and the Anita Kerr singers. SteveL5CES says: is the guitar a Stromberg? KenBrown says: Hank, were all those guitars on the cover yours? KenBrown says: That's for SURE!! HankG says: Thank you Jimmy! SteveL5CES says: Hank, I love those guitars--was that your MG too? HankG says: Yes, that was mine! SteveL5CES says: What a beaut! HankG says: It was my idea for the album cover done in my baCK YARD! DaveM says: Hank..Gary was so young on this album, was he your discovery? MB says: Wow, that's a great improv! JimmyB says: wow Hank what beautiful lines. Even to this day after hearing it over 1000 times it still makes me say "WOW"
DaveM says: You guys melted together so well...it still blows me away! Wolf says: Hank, the pic looks like a happy playback moment. SteveL5CES says: Hank is it true you did that album in one take? HankG says: Gary got so progressed during the session that he broke out in hives! JimmyB says: Hank who's in that picture? Wolf says: Hank can you tell us about your country roots? HankG says: I started on the road with Paul Howard at the age of fourteen! HankG says: I was far away from home playing western swing! KenBrown says: Hank, what practice techniques allowed you to string together such long lines> Did you consciously work on that? HankG says: practice and practice and lots of practice! pmfan57 says: did you listen to charlie parker or any other horn players? Wolf says: Hank. In country, the instrumental "Sugarfoot Rag"was a signature piece? We're going to send it out now. How did you come to write and record this song? joesilver says: What is the instrument you're playing in this photo, Hank? It looks like a Bigsby. Ago says: do you think one chord at a time when improvising? HankG says: this of course was before the solid body fenders! Evan says: Hank, did you have a practice routine? Corey says: Hank, how long have you been playing and do you still play? HankG says: between working in the studio playing country & pop I played at the club..Jazz all night! HankG says: I started at the age of 5! HankG says: self taught and stole from everybody ...any lick that I could! SteveL5CES says: Hank, I just found your two solo albums and MAN do I love them!!!! The Velvet guitar and the Unforgettable guitar--they are masterpieces!!! 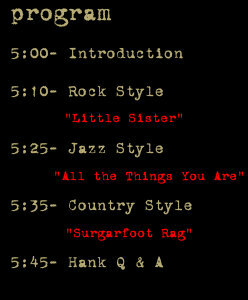 Wolf says: "Sugarfoot Rag"was a signature piece? We're going to send it out now. How did you come to write and record this song? Evan says: Hank, what are your favorite jazz albums? HankG says: It was a finger exercise I was working on! Corey says: Hank, what is your impression of today's popular guitarists? KenBrown says: Hank did you have any mentors along the way? 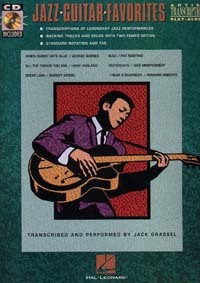 HankG says: I listented to DJango Reinhardt and Charlie Christian lots! Wolf says: Hank we're coming to the end of our time. I can see that we'll have to do this again soon. Is there anything you'd like to add? Wolf says: Thank you for your participation and the priceless time together. DaveM says: We love you Hank! God bless you! KenBrown says: Thank you SO much Hank!! your the greatest! joesilver says: Thank you, Hank! I think we all appreciate you taking time to chat with us. SteveL5CES says: Thank you Hank--you are a great inspiration!!! Ago says: Thank you Hank!!!! HankG says: Thank you Wolf, Jimmy and all of my friends! 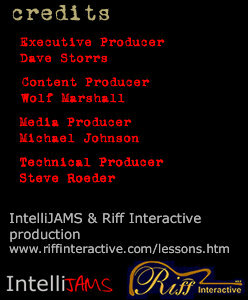 joesilver says: Thanks Jimmy, Wolf, and folks at Microsoft! JimmyB says: HAnk, you are still the best !!!!!! Wolf says: This has been historical!! HankG says: Medium gauge! and some of the rock and roll..the third string a banjo string! SteveL5CES says: did you like them?? SteveL5CES says: Hank--I loved you version of autumn Leaves--How did you get those great sounding chords??? practice. experiment ?? Corey says: Hank, what is your impression of today's guitarists and are there any you like to listen to? KenBrown says: The whole history and connection linkec by the love of jazz . .
SteveL5CES says: Hank--how did you learn those great chord melodies?????? HankG says: Your CD is great! 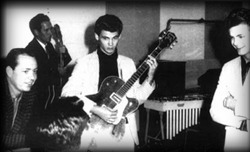 TC says: Hank Did you ever jam with Joe Pass? HankG says: We played it for some of our friends today..they liked it too! Corey says: Hank, you have to consider yourself part of the roots or rock and roll. Did you ever imagine it as it is today? HankG says: Thank you Steve! SteveL5CES says: Hank has anyone approached you about doing a book on your style of music????? KenBrown says: Or just a book on your approach to jazz? HankG says: a book would be nice! Corey says: I gotta tell you Hank, with all the stuff out there today, it is great to be able to learn from a real technician like yourself. True talent. KenBrown says: He's more than a technician, he's got heart and swing! SteveL5CES says: Hank--what would you recommend as a good practice routine?? I have always wondered? Corey says: Music is about self expression. I like the way Hank expressed himself!! !